Harvey M. Sapolsky, Eugene Gholz, and Caitlin Talmadge, eds. the effects of 9/11 on security policy, homeland security, government reorganizations, and intra- and inter-service relations. The book shows how political and organizational interests determine US defense policy, and warns against the introduction of centralising reforms. 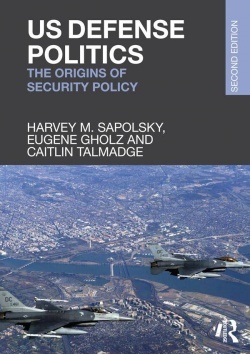 In emphasizing the process of defense policy-making, rather than just the outcomes of that process, this book signals a departure from the style of many existing textbooks.